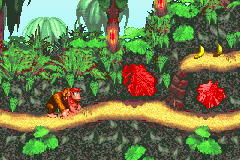 Donkey Kong Country (U)(Evasion) is a good game that was developed by Rare Ltd. and published by Nintendo. 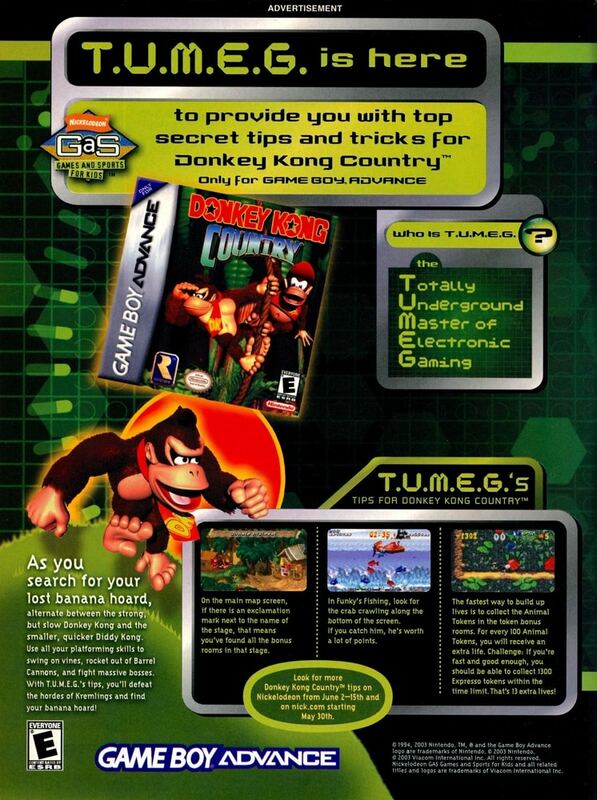 You play as Donkey Kong. Your objective is to complete through stages, defeating enemies and bosses. This is one of the best games made for the Super Nintendo ever! The gameplay is awesome, and quite unexpected. It's very similar to that of super mario world or any of the super mario bros line in the way of play. The graphics are amazing, especially for a super nintendo game. The soundtrack is also quite enjoyable. 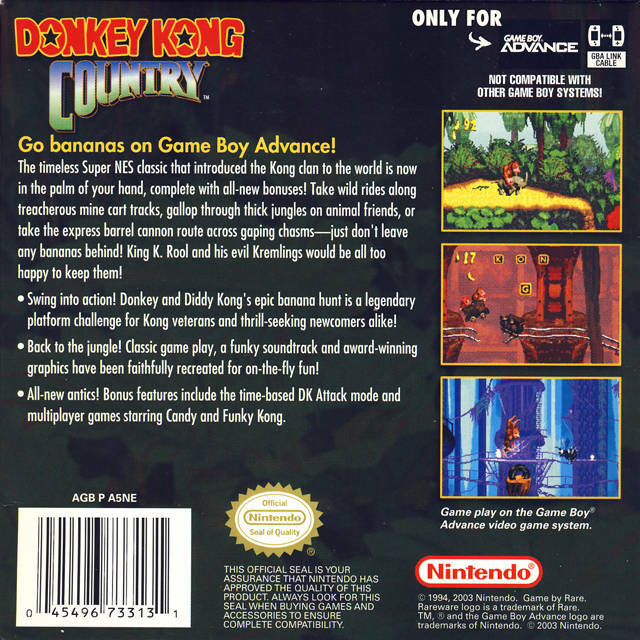 Out of all of the Donkey Kong Country games, however the first one was not the best. 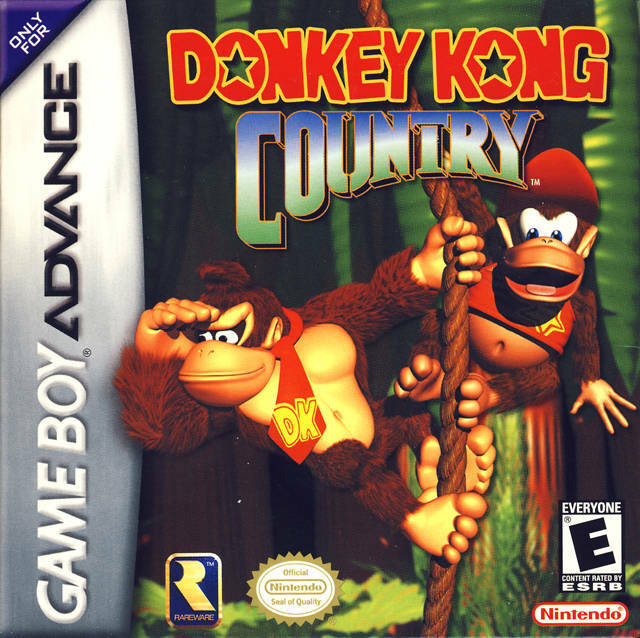 The difficulty level on this game was much higher than 2 (more equatable to 3 actually) and the courses, of course, are more simplistic than that of it's sequels. 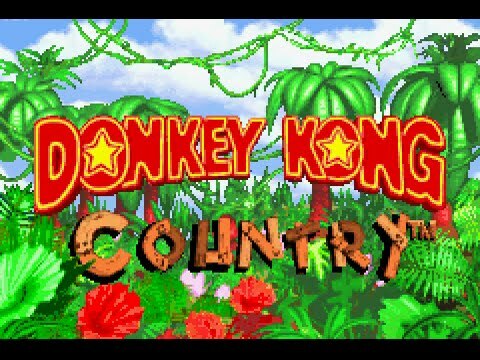 Welcome to Donkey Kong Country, a place where ostriches wear running shoes, apes wear neckties, and rhinoceros gracefully leap across gaping canyons with a style and flair that would make the great Evel Knievel envious. 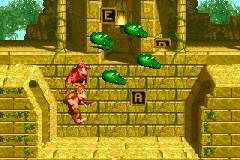 This remake of the SNES classic revamps the Donkey Kong Country gameplay with new minigames, a new Attack mode, and the ability to save your progress anywhere. 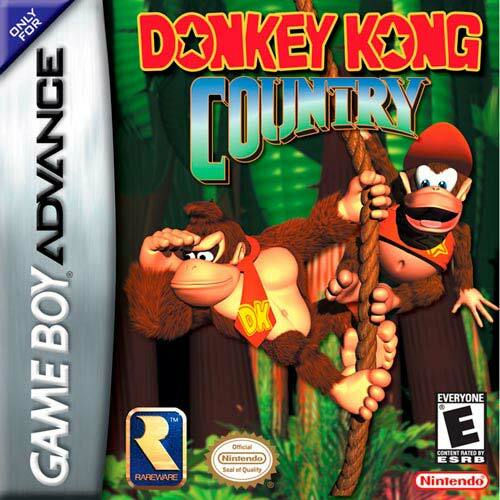 Whether you're looking for a nostalgic stroll through the jungle or you're new to the Donkey Kong world, Donkey Kong Country keeps you on your toes with platform challenges, dance minigames, and unique enemies. Now you can add videos, screenshots, or other images (cover scans, disc scans, etc.) 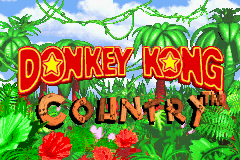 for Donkey Kong Country (U)(Evasion) to Emuparadise. Do it now! 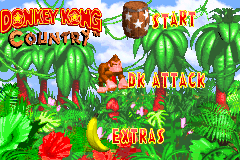 You have the option of playing Donkey Kong Country (U)(Evasion) in your browser, right here at EmuParadise! No need for any software, no installations required, all you need is a fast enough PC and a browser with Flash support. This is great if you're on a PC with restrictions on software installations or want to secretly play at work.